It's me at work. I'm feeling the small earring thing, but for some reason I just couldn't get a good picture with them showing. 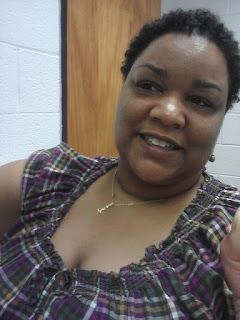 My reflection in the mirror was perfect, but the camera phone was not cooperating at all. You know how they do! As far as earrings go, 3 inches and less is my still. I know people with TWAs and other styles usually go for gigantic earrings. Simple and elegant trumps out large and bold for me. With that said, I'm going to focus on smaller earrings using gemstones and precious metals. 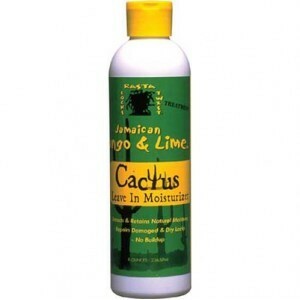 If you've been around me online from way back, 6+ years ago, then you'll know I've been using Jamaican Mango & Lime Cactus leave-in moisturizer forever. Yes, it's been through changes. No, it's not all natural. It's made by a Black owned business, but I get it from the local Asian beauty supply store. It works. 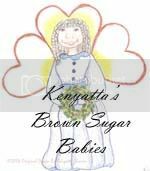 It's a light weight, water soluble, slippery cream. I don't use conditioner after watering or shampooing my hair, so this is all the product my hair gets and needs. 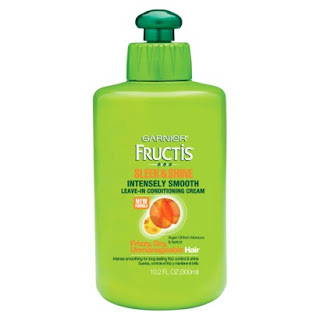 I was recommended this product, Garnier Fructis, Sleek & Shine leave-in by a relaxer wearing person who occasionally does the wash-n-go that is curly in some places and straight in others. O_o I was very hesitant, but was assured that it should work for my hair. It does just fine, but a little too much turns my hair white and chalky. This product is not all natural. I bought it at Harris Teeter. It's not made by anyone I know. Honestly, I don't think my hair really likes it anyway. I would like to find a nice all natural, handmade product for my hair, but it cannot have SHEA BUTTER. If you've used these products and your hair liked them, would you try to fix something that isn't broken? I'm Facebook & Twitter friends with so many people who make products and I feel guilty not being able to say that I use Black Woman Over There Hair Pudding Custard Souffle Mousse Leave-In Moisturizing Conditioner Cream Butter. Should it matter who you get the product from if it works? What would you do? I was always told if it ain't broke don''t fix it. As long as the product works and it is not damaging your hair then do you. How does the song go, "Don't rock that boat, baby. If it ain't broke, don't fix it. Just relax and let it flow." I know that's right. That's why I've stuck to the JML for years now. My hair responds to it better than with any other products. now loose again, no it's a precious thing when you find something that works. i too like that M/L Conditioner-thanks for the reminder..i might try it again! it's not too greasy and it's light and I love the smell. my hair laughs at all this pudding mess. it's just too greasy and too much and frankly, the geri curl look is NOT my look..so meh.